Just in time for Christmas, the red river hog at Dickerson Park Zoo, will soon have a mate. 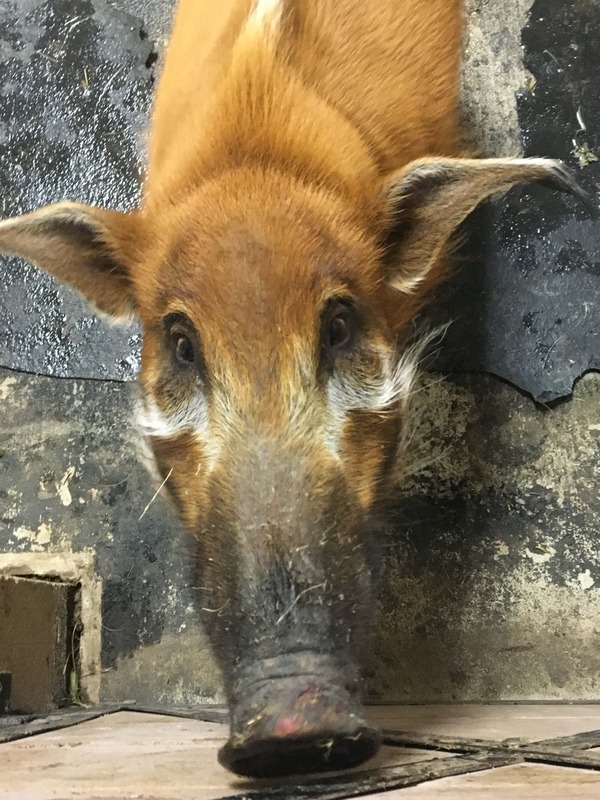 Divet, a female red river hog is in quarantine at Dickerson Park Zoo. Her quarantine period will end around Christmas. She then will be introduced to Congo. Red river hogs are native to Africa and are also called tufted pigs in reference to their long whiskers and tufts on their ears. Divet came from the Oklahoma City Zoo where she has had multiple litters. Dickerson Park Zoo is open 10 a.m. to 4 p.m. daily. The zoo will be closed Christmas Day, New Year’s Day and when paths are covered with ice or snow.